TEMPTATION – this week’s theme……So much to document – I feel I struggle with it every day – The chocolate that calls me, the need to not work out (I give into that one a lot) red wine, pinterest, shopping, decorating, looking at the latest photography products, etc – not in that order.Â But – did I document any of that – NOOOOOOOOoooooooo. 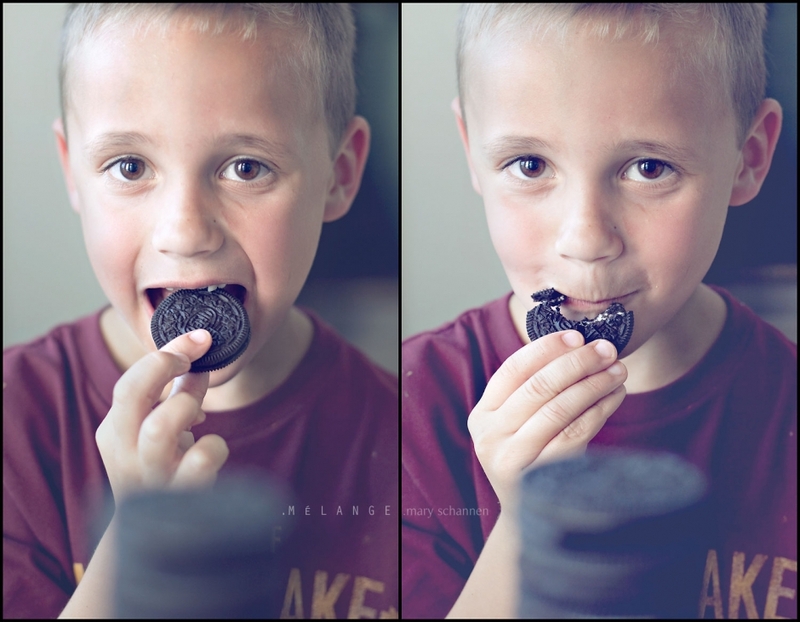 Oreos – A Big Thing in our house – YUM! Ut Oh – Watch out for Duke!!!! Here little Abby is getting into the action too! PINIMAGENow Please head over to see what gorgeous images CLARA has for us today! misty setzler - HAHAAA the photo of abby love it! I’m sure your boys where happy to help with the cookies involved! Sabrina - Mary, you’re going to make me go out and buy some Oreos now! Absolutely LOVE these images!!!! Your boys and dogs are just SO precious! Love!! Ramon Arana - Hi Mary, I live in Mexico and just found your work via Pinterest! wow I just love your photos and love the natural look of them, iÂ´m starting to do business from my photograph and finding my style….I was very indentified with your photo style so sorry but I would like to ask you , which camera you shoot, recommend lenses, …. again, sorry for ask this! Is there any workshop you recommend the most? 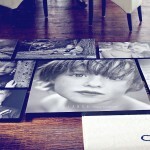 Thanks for your time and gongrats for your photos and children …great models! just vote! Hope to keep in touch with you and if you need something from Mexico feel free to ask too… Saludos & Adios ! Sio - I love your dogs ! I like your pictures, I like this blog…. will come back. denean - love this series Mary! Adorable kids and pup – and awesome tower of chocolate goodness! ginger - love them mary!!! 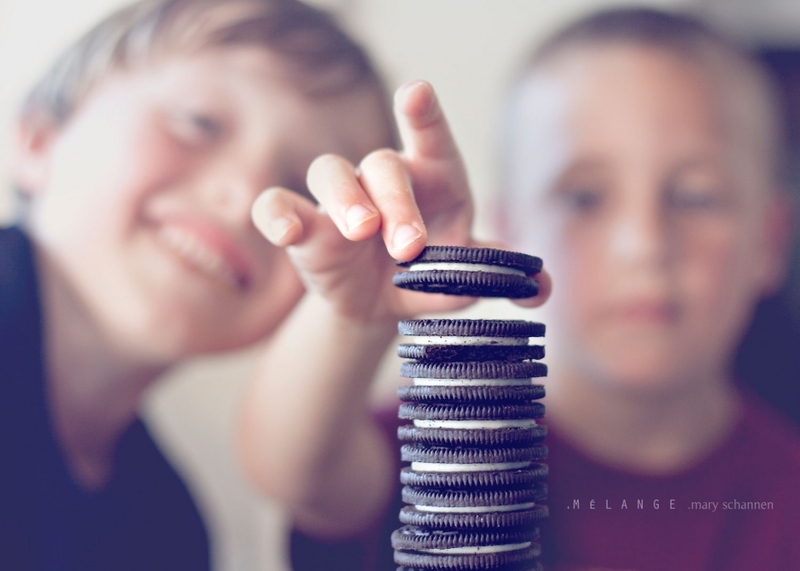 what’s not to love about oreos!!! love your sweet duke and abby too!! great job! Holly - Ok, this is fabulous!! 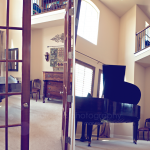 Not only do I LOVE your perspective this week, but your images are gorgeous! Melinda - Love these Mary! Especially that last one of Duke – love his expression! 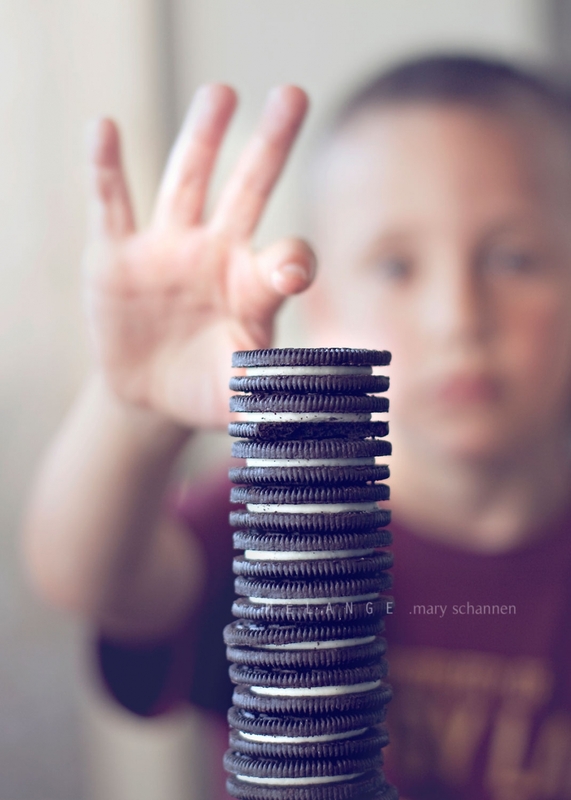 Clara - That is one AWESOME tower of oreos!!! And Duke and Abby are just adorable!! !